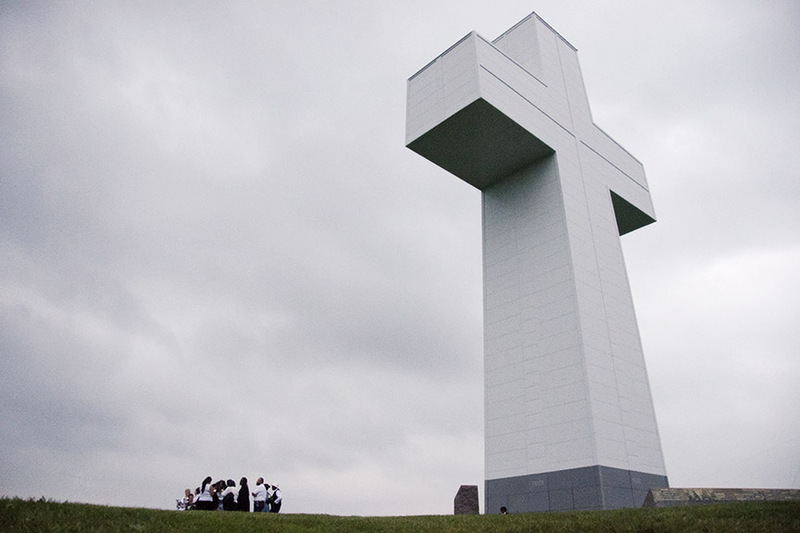 Willie requested a picture of a vigil at Bald Knob Cross on top of a mountain in southern Illinois to pray for his deliverance from Tamms and to be granted parole from prison. In order to take this photograph, TY10 caravanned down to the cross, held a litany of song and prayer and celebrated with a dinner. The next day, we drove family members to visit loved-ones at the prison. Willie was transferred from Tamms, and on July 27, 2012, he was paroled after 36 years. We had a Welcome Home party for him the week of his return. Photo by Rachel Herman, May 6, 2011.